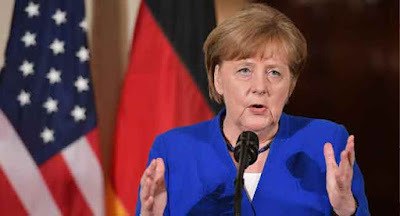 The European members of the G7 are agreed that Russia cannot be readmitted into the club until there is an improvement in the crisis in Ukraine, German Chancellor Angela Merkel said Friday. “We are in agreement that a return of Russia to the G7 cannot happen unless substantial progress is made in terms of the problems with Ukraine,” Merkel told reporters on the sidelines of the ongoing G7 summit in Canada. Merkel spoke following a meeting with the leaders of Italy, Britain and France which came in the aftermath of US President Donald Trump’s call to readmit Russia. The decision to kick Russia out of what had been the G8 was in response to Russia’s annexation of Crimea in 2014, which was widely denounced as a violation of Ukraine’s sovereignty.